We Balaji Sports Co. only One Manufacturing Firm in India dealing in Basketball Sport Flooring. 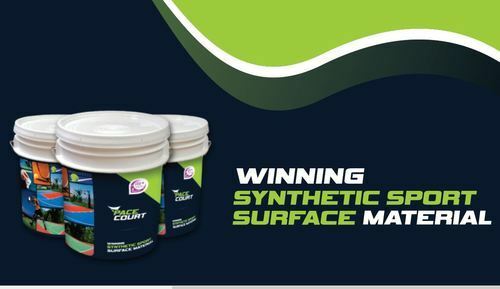 With an astonished talent of our ingenious team of professionals, we are engaged in manufacturing, supplying, exporting and trading Basketball Sport Flooring coating paint. This flooring paint is processed using industry approved chemical compounds and materials under the leadership of our deft professionals. Furthermore, due to such quality-processing, the basketball courts offer lead and bacterial free surface along with not emitting the harmful fumes. Moreover, the paint has anti-slip property.